The company so far has not revealed plans to launch the Oppo A33 smartphone outside China but we can expect the smartphone to launch in other markets including India soon. At this price point, the Oppo A33 can compete with Motorola Moto G (Gen 3) and Xiaomi Mi 4i. The Oppo A33 runs on Android 5.1 Lollipop with the ColorOS 2.1 skin on top. It features a 5-inch (540×960 pixels) TFT display with a pixel density of 220ppi. 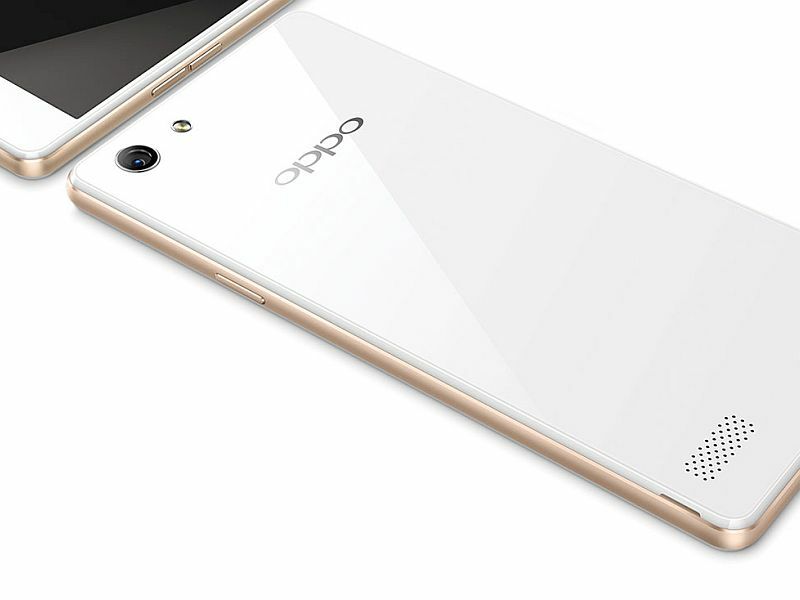 The new Oppo smartphone is powered by a 1.2GHz quad-core Qualcomm Snapdragon 410 SoC coupled with 2GB of RAM. It supports dual-SIM cards with one Micro-SIM and one Nano-SIM card. Sporting an 8-megapixel rear autofocus camera, the Oppo A33 also sports a 5-megapixel front-facing camera. It bears 16GB of built-in storage that is expandable via microSD card (up to 128GB). Connectivity options include 3G (HSPA+), 4G LTE, Wi-Fi 802.11 b/g/n, Bluetooth 4.0, Micro-USB 2.0, GPS/ A-GPS, and a 3.5mm audio jack. The China listing of the Oppo A33 confirms that the handset supports Indian LTE bands. Measuring 142.7×71.7×7.5mm, the A33 smartphone weighs 146 grams. It is backed by a 2400mAh battery that is rated to deliver up to 250 hours of standby time and up to 8 hours of talk-time. It bears an accelerometer, ambient light sensor, and proximity sensor. Last month, Oppo unveiled the Neo 7 smartphone in India, priced at Rs. 9,990.